As part of my 2016 Graphic Novel Challenge , I recently read and reviewed my first Pokemon book. I did this partly because my son loves Pokemon and partly because I recently ordered lots of new manga books for our library. Pokemon is among my selections, and I am pretty sure that I will have to defend this purchasing decision at some point. After reading my first Pokemon book, I thought about what I can say to someone who does not think Pokemon belongs in our posh international school library. I've already had a couple of unpleasant conversations in defense of graphic novels in general as well as picture books at the Senior School level. It is highly likely that adding Pokemon to our collection will fuel well-meaning questions about why I selected these books in our library. 1. They are commercial, and that's okay. Who else read this 867 times? I'm sure one objection I will encounter involves the commercial presence of Pokemon. Some will call it "junk reading" because it is based on a popular cartoon series. I'll grant that Pokemon is commercial. We have Pokemon cards and t-shirts in my house. My kids watch Pokemon movies on YouTube and Netflix. I'm sure plenty of money is made on kids' obsession with Pokemon. But so what? As a child, I read lots of Barbie, Sesame Street, Cabbage Patch Kids, She-Ra, Looney Tunes, and Smurfs books. 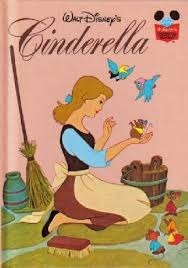 I loved the Disney animated movie storybooks, which featured the same art work as in the movies. They were (and still are) money-making, "commercial" endeavors. Were they the best of what what was available to me? Surely not. But, I read and enjoyed them anyway. Often over and over. Pokemon has been hugely popular in every school I've been in. In my last school, new Pokemon books would get checked out the instant I took them out of the box. Students that knew the books were coming would ask if they could put them on-hold before I even had the MARC records. They loved them so much, the books would even get stolen sometimes (they came back most of the time, and it was easy enough to figure out who was doing it). Despite the theft, students getting that excited about books is a very good thing. 3. It's the Secret Language of Tweens. As international students, my boys have friends from many cultures and languages. Our school's students represent 40 different nationalities, and many are learning English as their second, third, or even fourth language. While their ability to speak English varies greatly, it seems a whole lot of them speak Pokemon and Minecraft. This helps bind and unite my boys with children who hail from cultures very different from our own. And it's not just the boys; my son recently borrowed a Pokedex from a girl in his class. I'm sure she's not the only one. 4. Lots of rich vocabulary. 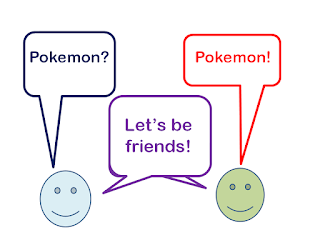 Pokemon is also excellent to introduce onomatopoeia and strategies for reading slang. 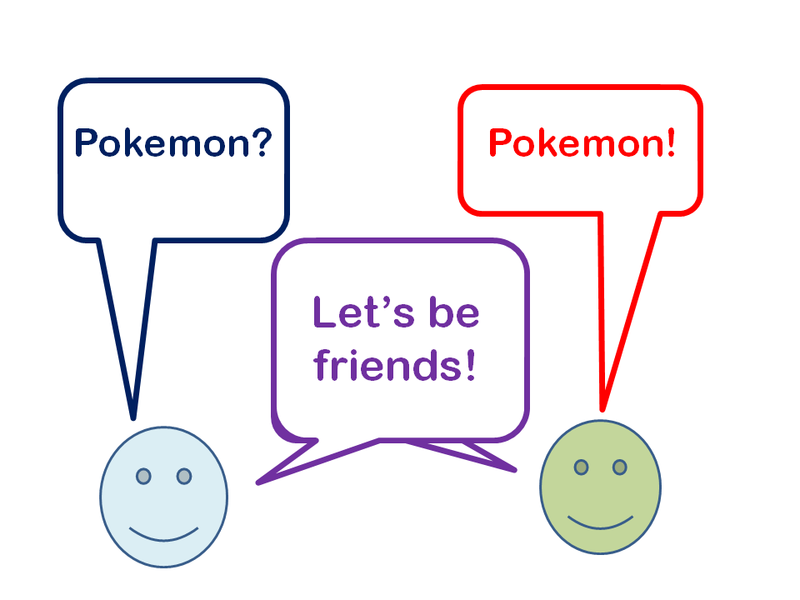 There's lots of slang in Pokemon, which may be difficult for those with limited English. Since slang appears in lots of books (including classics like The Adventures of Huckleberry Finn, The Catcher in the Rye, and Their Eyes Were Watching God), it is important that students know what slang looks like and how to read it. This one is straight out of the mouth of my 11-year old. When I asked him why he thinks libraries need Pokemon, this is what he said. From a parent's point of view, I am just happy that my son is enjoying reading something. He's choosing to read Pokemon because he wants to. He reads it at bedtime, on the bus, and at school during DEAR time. He reads them over and over, and so do his friends. Sure, he reads other stuff, but Pokemon is something he comes back to time and again. And the great thing is, there are so many Pokemon books and series out there for him to read. When he does finally tire of them, I'm know he'll be looking to fill that gap with another "addictive" series. So there you have it: Five reasons libraries (including mine) need Pokemon. Will I be successful in my defense of it? Well, I hope the issue doesn't even come up. But if it does, I'm ready. Wonderful article. I'm putting some on order right now! I also want to increase the graphic novels/manga in my library-do you have recommendations for Pokemon specifically, or other books in general? I recommend Fairy Tail, Legend of Zelda, Bandette, Naruto, Bleach, Dragonball Z, Sailor Moon, Moomin, Bone, Big Nate, Babymouse, Squish, Pokemon (there are several different series--Black & White, Adventures, Diamond & Pearl, etc). If you can get Fruits Basket, those are also a hit with the girls, but I think they may be out of print.